Do you have an unwanted car, boat, truck, motorcycle, ATV, RV, or Jet Ski that you longer want or need? Is the vehicle taking up space in your driveway, garage, or shed, or are you paying to store it somewhere? Are you paying for car insurance on a vehicle that you hardly, if ever use? If you’ve answered yes to any of these questions, it might be a good time to think about donating your car to charity. When you donate a vehicle to Wheels For Wishes, your donation benefits Make-A-Wish and helps to grant the wishes of children in your community. Plus, car donation is beneficial to you and your wallet! Since Wheels For Wishes accepts most makes and models of vehicles, whether they run or not, you won’t have to worry about paying someone to haul your vehicle away if it doesn’t run, and you can stop paying for car insurance or spending money on filling the gas tank. Who wants to waste money on a vehicle that they hardly drive? Storing your vehicle may not be worth the hassle. If you live in a city where public transportation is readily available such as Chicago, New York City, San Francisco, or Los Angeles, donate your car and hop on board to your city’s green movement. Why navigate your city’s busy, hectic streets when you can rely on carpooling, biking, walking, or public transportation? If you have a vehicle to donate, we will pick up your vehicle nearly anywhere in the United States. Just call us at 1-877-431-9474 or make your donation online to schedule your free vehicle pick-up for a time that is most convenient for you. Since we are approaching spring, it is the perfect time to think about going green and living a more eco-friendly lifestyle. You may be thinking about starting your garden, planning a landscaping project, or starting a compost bin. March is the perfect time to think about all of these plans because you have just the right amount of time before all of the snow melts and it’s time to get outside and get started. 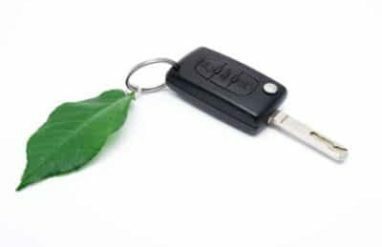 If you are thinking about going green this spring, put car donation at the top of your list. Car donation is generous since it helps to grant wishes for local children battling critical illnesses, and it’s also earth-friendly too. You are helping to create a cleaner and greener world, and you are even helping to create jobs at the same time. When you donate a used car, you are helping the environment and the economy. Recycling a vehicle could provide enough steel to produce almost 13 million new automobiles, and it can create 46,000 jobs to produce these new vehicles! During this economy, that is a huge way to give back to the world we live in. Car recycling is the 16th largest industry in the United States, so you are helping the industry get bigger and better when you contribute to it. For more information on going green and living a more eco-friendly lifestyle, check out our blog post. If you would like to support Make-A-Wish through your car donation to Wheels For Wishes, please call us today to make your tax-deductible vehicle donation to Wheels For Wishes. Car donation is more beneficial than you ever thought possible. Help to grant the wishes of children between the ages of 2 ½ and 18 who are battling critical illnesses. Your donation makes a difference in so many ways! The total revenue of automobile recycling is estimated to be about $22 billion. Recycled vehicles provide enough steel to produce almost 13 million new vehicles every year and can save an estimated 85 million barrels of oil each year. The automotive industry provides jobs for about 103,108 people throughout the country at more than 8,267 small and large businesses – the total annual payroll for auto-recycling is estimated at $3.3 billion. Recycled parts can save retail customers about 50 percent when purchasing used parts over new parts. More than 25 million tons of material are recycled from cars each year, including 90 percent of all of the automotive aluminum on a recycled car. Auto recyclers supply more than one-third of iron and steel scrap to the scrap processing industry in the United States – and using recycled steel and iron reduces air and water pollution by more than half during the manufacturing process. Automotive recycling saves you money every day, even if you don’t know it! By purchasing inoperative vehicles from insurance companies, automotive recyclers help to decrease insurance rates. Recycle your car, truck, boat, or motorcycle today!